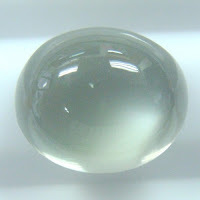 Pearl one of the important gem in astrology. It's considered as the symbol of Moon. If moon is weak in any horoscope a person is advised to wear pearl but it is not for everyone to wear. Let's see when should one wear pearl. When in horoscope the moon is either the ruler or makes a triangle and is powerless only then pearl should be worn else it has power to cause death as well. 1 if moon is in 6,8,12 house. 2 if moon is in lower zodiac which is scorpio. 3 if moon is with Rahu or ketu. 4 if moon is in sight of negative planet. 5 if moon is weak and with sun . 6 during mahadasha of Moon it's Mandatory to wear pearl. 7 if moon is weak and the person is born in Krishna paksh then also it's been for the wearer.